Tabard Barbers is something of a gem. Both a gentlemen’s barber and women’s hair salon it’s tucked away in Tabard Street and has a character all of its own. As soon as you walk in you’ll notice the genuine warmth from the staff, the friendly banter amongst them and their customers, and the extremely cool interior design and high quality ambience. 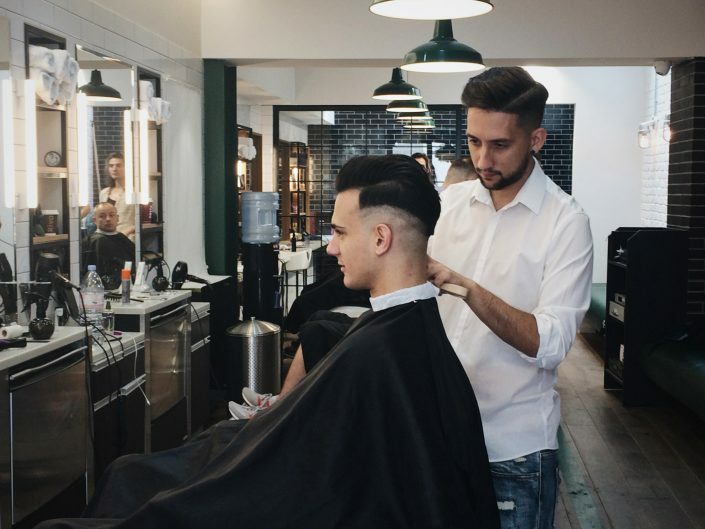 So, it’s not only a place to get an expert hair cut or groom, but also a place you’ll genuinely enjoy spending time. We’ll offer you a drink, of course, on the house. Then we’ll set to work to make you really shine! Some of the most interesting conversations in London also come as standard at Tabard, as our staff are not only highly talented, but also extremely interesting people with fascinating backgrounds. So, when you leave, you’ll look a million dollars and have a smile on your face! Learn more about this extraordinary barber and hair salon, its history and owner, below. 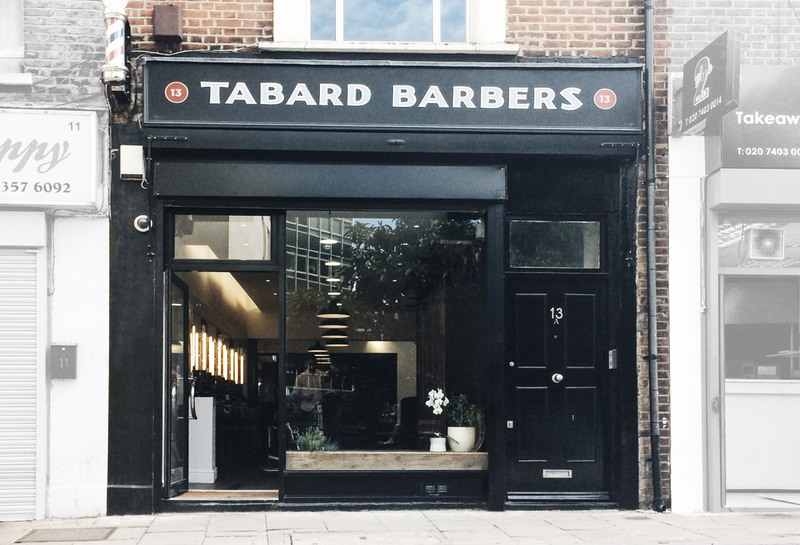 Tabard Barbers is owned by über-cool Dasos Anastasis, who is popular and well-known in the Borough. The business has been in the Anastasis family for decades, having originally been owned by Dasos’s father, who moved to the area 45 years ago. It now represents one of the oldest family-owned businesses in SE1 and Southwark. The salon combines cool, ultra-modern interior design with exposed brick from the underlying building, which was historically used as a bakery long ago. Indeed its huge ancient oven was discovered, buried deep beneath the salon, during recent refurbishments. 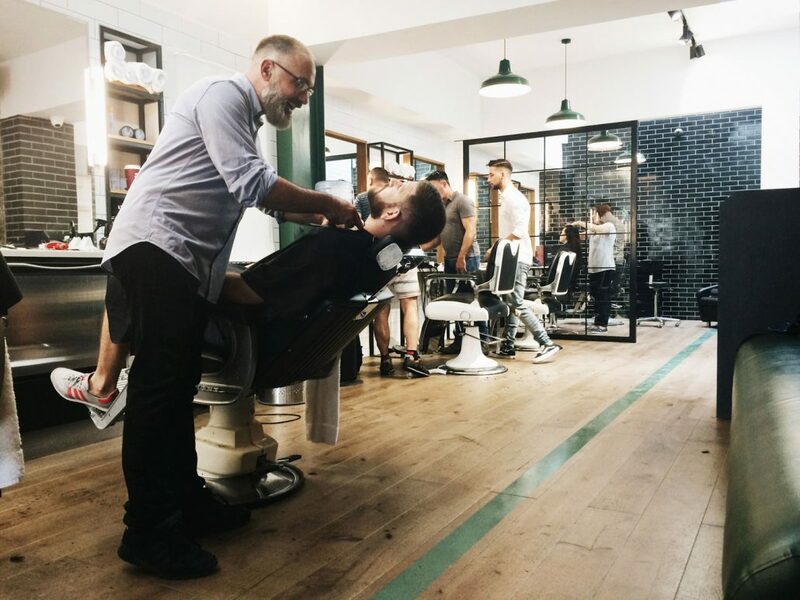 Tabard’s mission is simply to be the go to place for the very best in men and women’s hair styling and gentlemen’s grooming, all at an affordable price. We are already the obvious choice for many SE1 locals and aim to get the message out there to others who are missing out on a superb service, outstanding surroundings, highly skilled professional attention and an all-round exceptional hair care experience. We believe that if a job is worth doing, it’s worth doing exceptionally well. 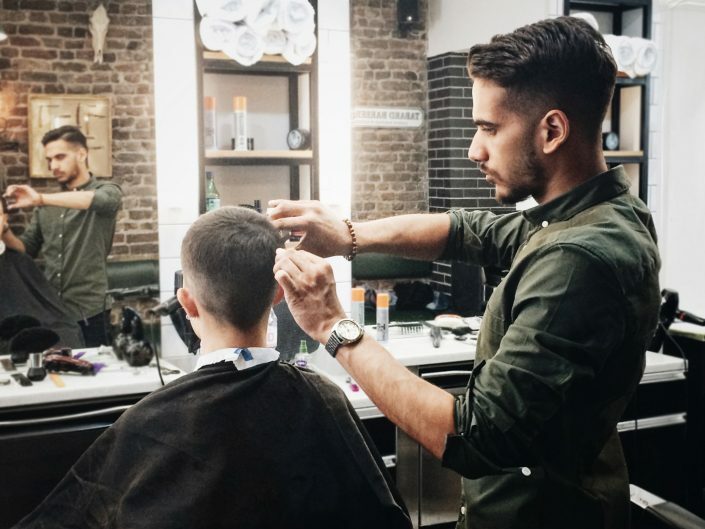 Our customer comments below reinforce the fact that our attention to detail is second to none — we simply will not rush a haircut through until it’s absolutely perfect, whether or not someone else is waiting in line. In fact, our detail is so precise that one customer thought we may as well have used “a protractor and set square” to attain such perfection!